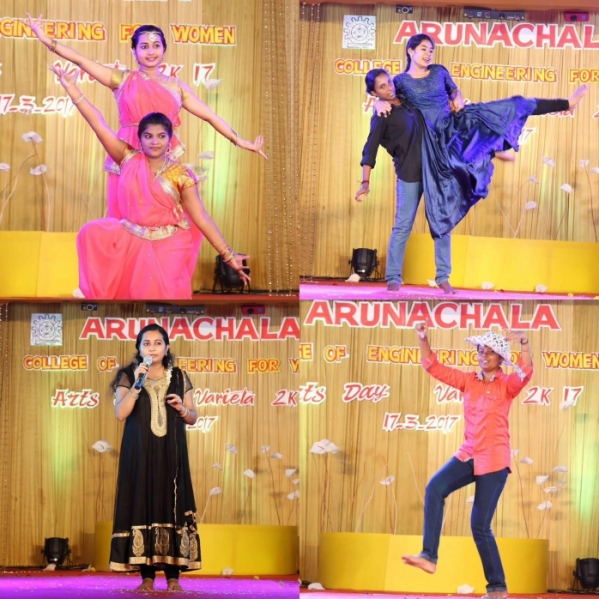 The celebration includes solo dance, solo singing, group dance and singing, mime, dramas and many other interesting activities conducted by the students of arunachala college. 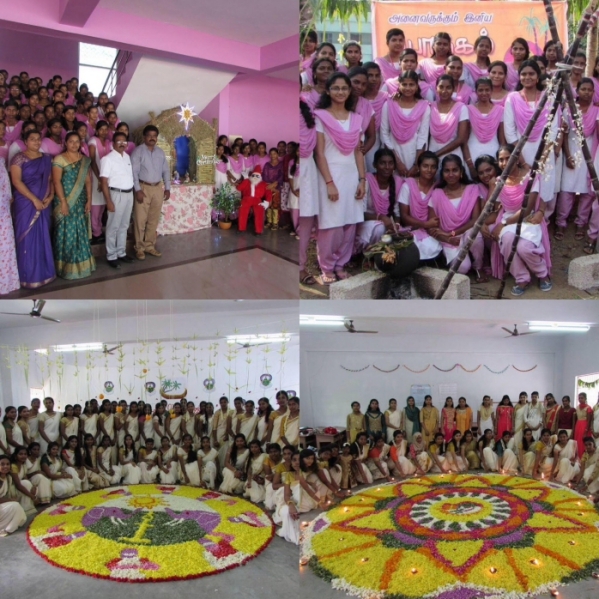 Students of our college celebrate Christmas, Pongal and Onam with lot of joy and happiness. The Graduates of Arunachala College are honoured with their Degree Certification on the Graduation Day. A wonderful get together for the passed out students. Special Training is arranged for the enthusiastic and diplomatic students for GATE, IES, GRE etc., By conducting frequent tests, weak students are identified and special coaching is provided to improve their performance in studies. Placement Training & Personality Development Programmes are arranged by the Industry Oriented Training Professionals. A Special attention is given to the health and physical fitness of the students. The age old adage "A sound mind in a sound body" is more relevant in today's world of heavy stress and high competition. Generally girls are reluctant to participate in sports and games due to various reasons. 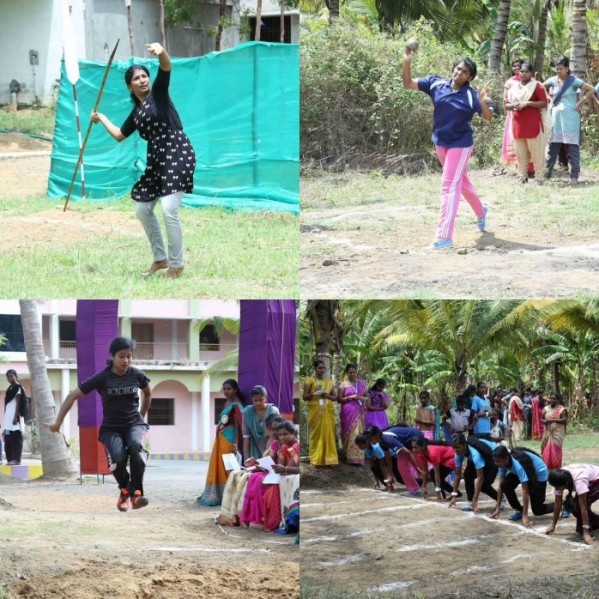 Being a women's college, ACEW students are encouraged to participate in physical activities. 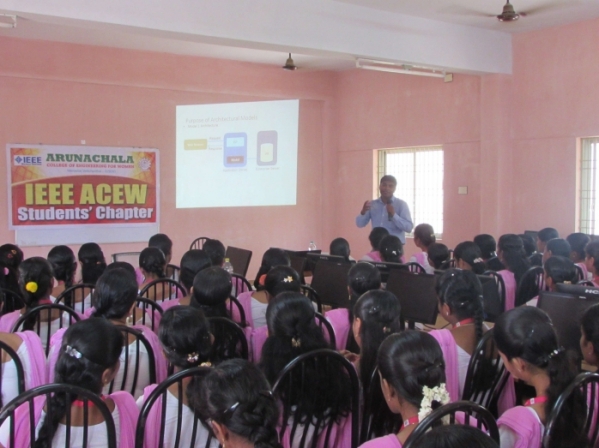 As part of their curriculum, the students of Arunachala are taken to industrial visit. 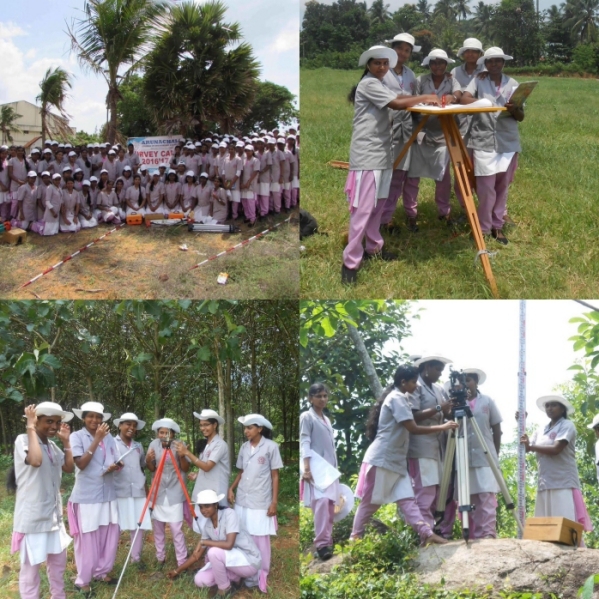 The students have visited many construction sites, ISRO, BSNL, Wind farms, TNEB, and C DAC. Every year, more than 200 students has undergone inplant training in various reputed organizations to get more practical ideas. 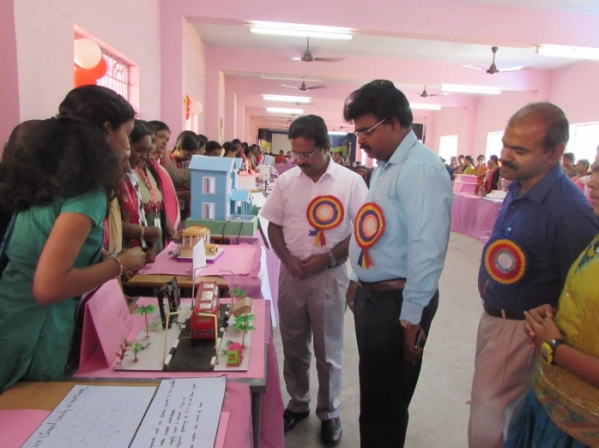 The exhibition is conducted by the students of Arunachala college to exhibit their talent. Each department have their own Symposiums conducted for the students to enrich their knowledge with joy. English club, started in our campus was inaugurated by Dr. Vijayalekshmi, Managing Director of Vijayalekshmi HiTech Software Solutions. This club conducts programmes like Elocution, Creative Writing, Group Discussion, Seminar Presentation and such likes. We are motivating the students to speak in English inside the college premises and the students are following accordingly.